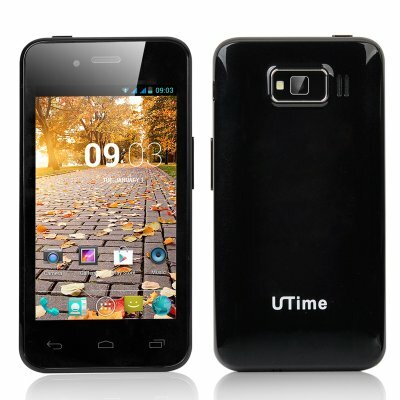 Successfully Added UTime U6 Android 4.2 Smartphone - 4 Inch 800x480 Screen, MTK6572 Dual Core 1.3GHz CPU, 512MB RAM, 4GB ROM (Black) to your Shopping Cart. UTime U6 Smartphone is a small and intelligent communication device that features a 4 Inch 800x480 Screen, MTK6572 Dual Core 1.3GHz CPU, 512MB RAM, 4GB ROM and an Android 4.2 Operating System. Are You Ready For UTime U6? If you want to have a wealthy spec phone that does not cost a fortune then the UTime U6 Smartphone is the answer. 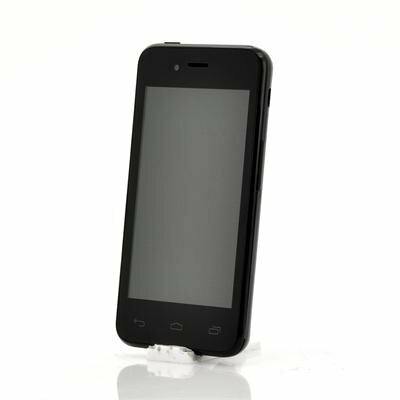 With a 4 inch display, the UTime U6 is small and practical to use as it has a touch screen with an 800x480 display resolution resulting in you being able to see your content clearly. Powering this compact designed phone is a meaty MTK6572 Dual Core CPU that can reach speeds of up to 1.3GHz. Also with 512MB RAM backing up the dual core processor; you will have a fantastic performance that will deal with all your tasks. There is even 4GB of internal memory with this UTime U6 phone that allows you to store your media or downloaded content, plus you can expand it using the built-in micro SD port. What else can you expect from the UTime U6 smartphone? Well, you can expect a modern an Android 4.2 operating system for user friendliness. Also you can expect Bluetooth and Wi-Fi connectivity as well as two built-in cameras for taking photos and videos in addition to the ability to manage two numbers at the same time due to have two SIM card slots.